Many enlisted as young adults and are finding the transition tough as they try to find jobs as private citizens for the first time. 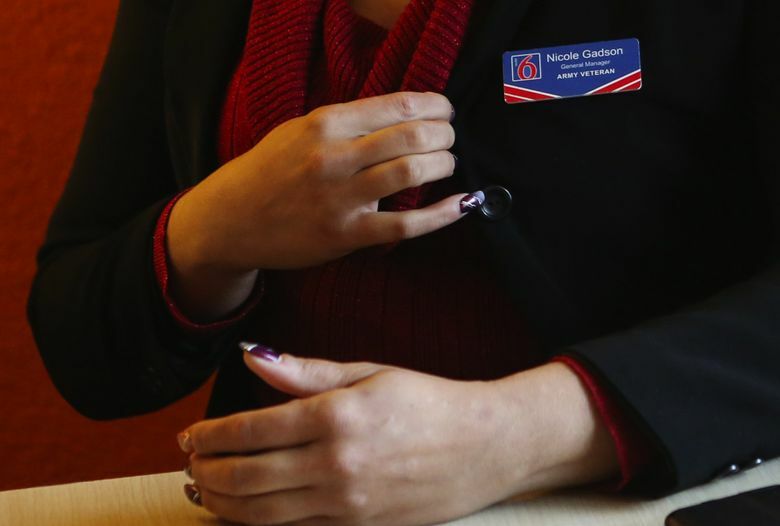 Now Gadson is the general manager of a Motel 6 in Everett, where much of her time is spent making sure guests wake up with smiles on their faces, and employees are happy. Military personnel who decide to transition back into civilian life and the civilian workforce face a rite of passage that can be as profound as joining the armed forces in the first place. Editor’s note: In 2016, Pacific NW magazine will explore our world of work. In Seattle’s workplaces, one thing you can count on is change. We’ll try to help you make sense of it. Can jobs still provide a pathway to the American dream? The miserable jobs outlook during the Great Recession and recovery made the switch especially difficult. What’s worse, personnel returning from recent engagements as well as aging Vietnam War vets continue to face long waits and scheduling issues as the ongoing scandal at Veterans Affairs health-care facilities plays out, and there have been reports of increased suicides among Afghanistan and Iraq vets. On the jobs front, research by the Department of Defense indicates that pay for enlisted personnel went up by about 20 percent in the eight years after the 2001 Afghanistan invasion, and by more than 9 percent for officers. But compensation for corresponding civilian jobs stayed flat or dropped, regardless of workers’ education levels. Despite civilian wages not keeping up with military pay, unemployment figures offer encouragement. The unemployment rate nationwide for vets who have served on active duty since September 2001 dropped from 7.2 percent to 5.8 percent in 2015, according to the Bureau of Labor Statistics, despite a third of those vets reporting a service-related disability. 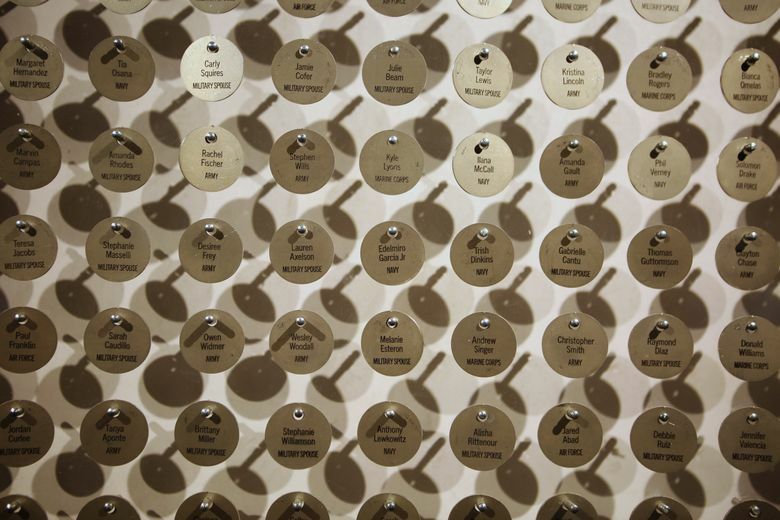 The rate among all vets was 4.6 percent. In Washington state, the unemployment rates for our 241,000 vets have tracked close to that of the overall population in the past decade, in part thanks to state programs designed to ease the strain on those transitioning and to aid vets already in the workforce. Gadson left the Army in 2005, when she became pregnant with her first child. In 2013, she decided to re-enlist, but because of an injury she was assigned to be in charge of bus transportation for soldiers at Joint Base Lewis-McChord. The bus contractor hired her as a sales coordinator but then closed its Seattle office before she could start. Gadson spent months back on the job hunt. She heard all kinds of excuses from prospective employers as to why they wouldn’t hire her. “Many managers told me I was too qualified,” she says. One manager even told her point-blank she feared Gadson might take her job. When Gadson started working with case managers at the state Employment Security Department, things started looking up. Gadson would’ve been happy as a line worker. But realizing Gadson was well-suited for a management role, her case workers shopped her résumé to companies in search of supervisors, too. Today, she manages a 26-person team of front-desk staff, housekeepers and other employees. 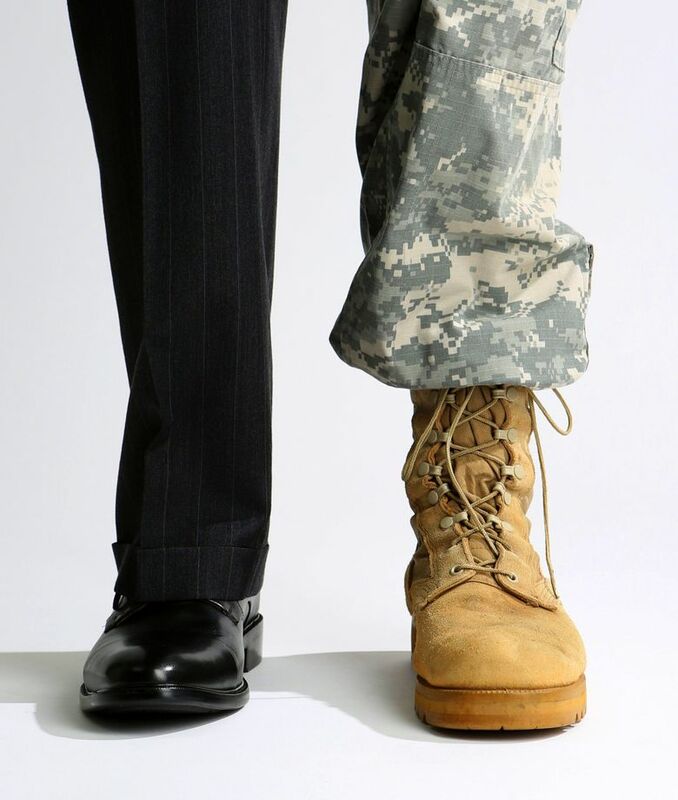 FOR MANY EMPLOYERS, veterans represent ideal job candidates because of their reputation for a strong work ethic, on-the-job experience and leadership qualities. In 2013, Starbucks pledged to hire at least 10,000 vets and military spouses by 2018, and it’s already more than halfway to that goal. 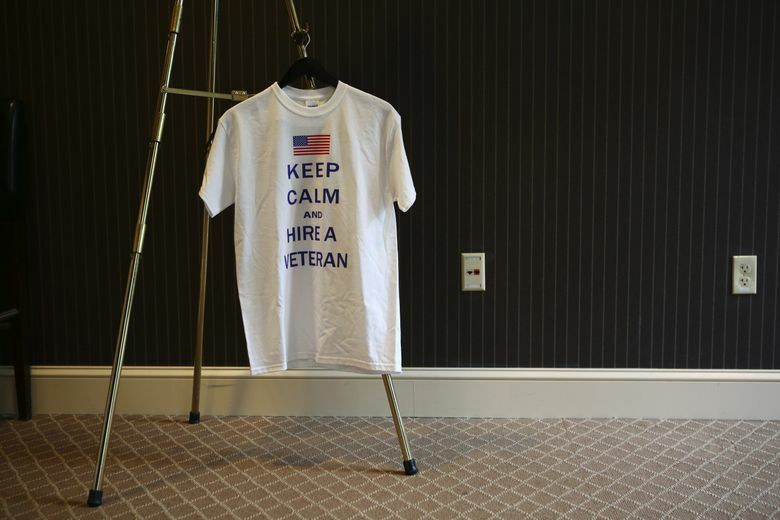 A whole industry has sprung up to help companies connect with qualified job-seekers who have served. 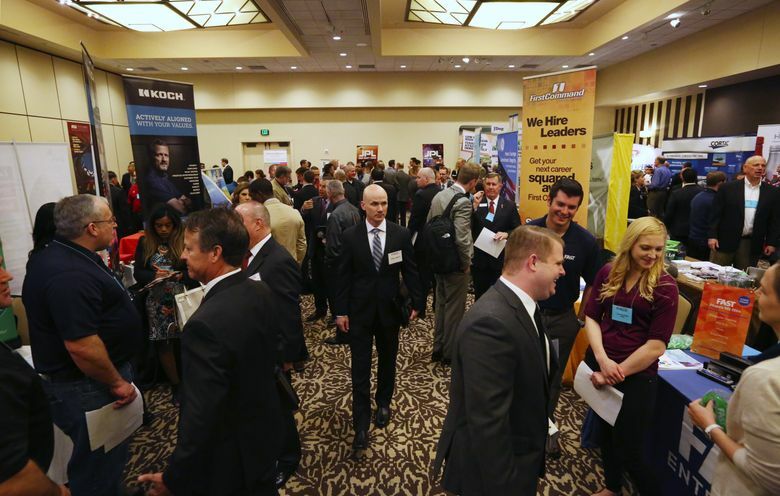 At a recent two-day career conference and job fair hosted by the employment firm Military Mojo in downtown Seattle, about 300 transitioning and de-enlisted men and women, most dressed in dark business suits and gleaming dress shoes, mentally fortify themselves before the doors swing open to a conference room full of waiting corporate representatives. The lineup of high-profile employers includes Amazon, Google, Koch Industries, Capital One, Microsoft, Sears, Turner Construction, Alaska Airlines, the FBI and Boeing. The Military Mojo event is a little like speed dating, with job-seekers fanning out across a conference room lined with exhibition booths to meet with representatives from companies they’ve had their eyes on, and recruiters holding brief interviews with standout candidates they want to get to know better and possibly recommend for hiring. The Maryland-based Military Mojo organization travels to cities nationwide that have large military populations and robust business environments. The Seattle area, buttressed by a host of major firms and surrounded by military installations in King, Pierce, Kitsap, Snohomish and Island counties, makes for a prime location for this and similar events. Attendance in Seattle is up this year compared to last, when about 250 signed up. Across the room, nervous excitement replaces the stone-faced confidence usually associated with members of the world’s greatest fighting force. Many in the room enlisted as young adults. Military life is all some of them know. “You’re getting out, you’ve never had a job interview, you’ve never written a résumé and here’s this big world,” says Rich Register, a retired information technology specialist at Procter & Gamble and an Army veteran. 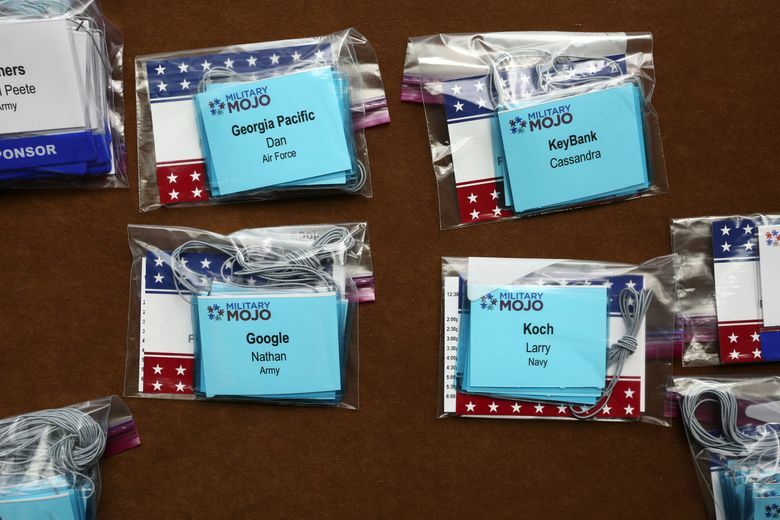 Register volunteers with Military Mojo as a career coach and travels with the company to its job conferences. Between conferences, he helps job-seekers refine their résumés and practice interviewing. 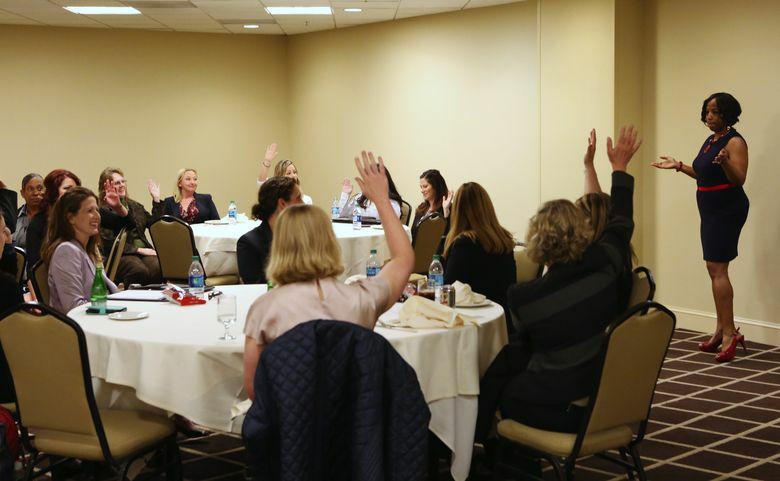 Often, the counseling process begins with two things that might seem obvious: helping vets nail down what they want to do after serving, and advising them on how to discuss their military achievements in a way that’s meaningful to civilian recruiters. At the conference, two men with different skill sets and life paths discuss the upcoming day’s hectic schedule of interviews and meetings. Marysville-based Army Reservist Willie Wright III was a chemical operations specialist who helped units prepare for chemical warfare and weapons of mass destruction. 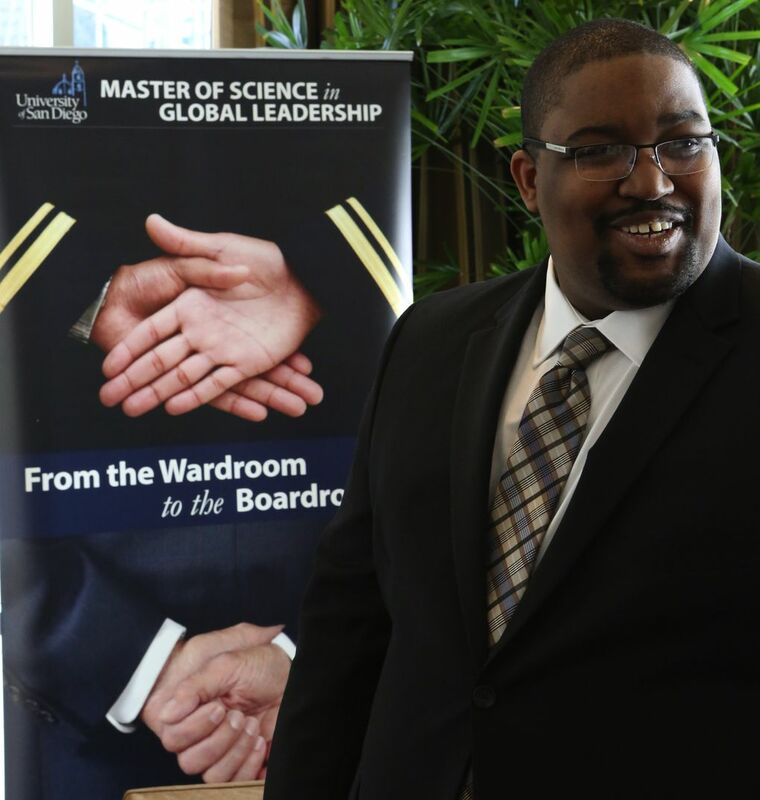 With his military experience, a bachelor’s degree in IT and a few employers at the conference already interested in his tech background, his prospects are good. Wright stands next to Jeremy Roth, a 13-year Air Force veteran with electrical engineering training who grew up in Shoreline. In the service, Roth did aircrew life support and was part of a fighter squadron. He has his eyes on participating companies like GE, Bechtel, Los Alamos National Labs and Johnson & Johnson. One thing seems certain: Both have done their soul-searching and homework. They know what they can offer, where they want to wind up and how to sell that vision. WHAT’S STRIKING IS how often that’s not the case. Jason Leon, a six-year veteran of the Army who works as a career adviser and business consultant for Farmers Insurance in Oregon, says many transitioning service members get fixated on going to work right off the bat for hot tech companies known for attractive salaries and perks. That might be unrealistic — and limiting. Leon, 32, decided to enlist when he was 17, after watching the twin towers fall on TV in a high-school history class on 9/11. Leon wanted a chance to be on the front lines, so he motioned to the arrow’s point — the tip of the spear. The Army placed him in the infantry, and that was that. But, “When you get out, there’s arrows pointing everywhere,” Leon says. Sometimes the arrows lead to surprising job opportunities. A spokesman for Starbucks says the coffee company employs former enlisted helicopter mechanics at its roastery in Kent; it turns out their knowledge of machine components on choppers makes them suited for work at the facility. 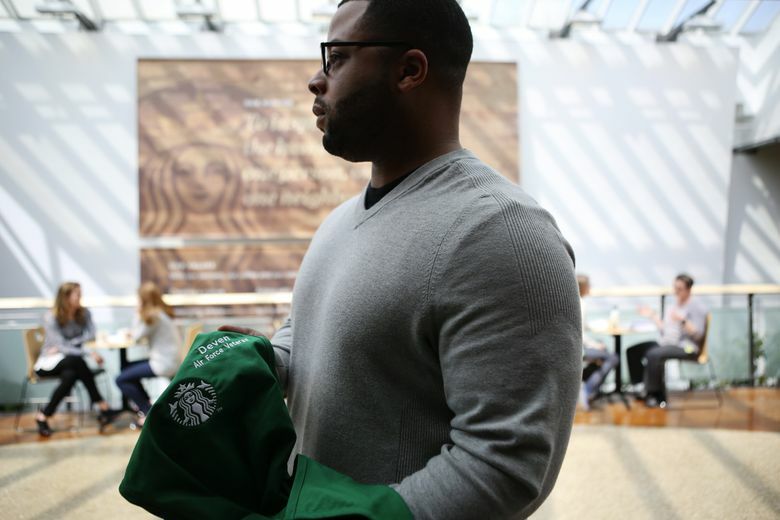 To help transitioning service members from Lewis-McChord ease into the business environment and see where they might be a good fit, Starbucks also participates in the Heroes Corporate Fellowship Academy through the nonprofit Camo2Commerce career-development program. Deven Robinson, who recently left the Air Force after 10 years, started at Starbucks headquarters in Seattle’s Sodo District as a fellow in January and wound up getting hired permanently as an equipment services manager responsible for inspecting and replacing equipment at the company’s stores. Robinson, 30, grew up in Kent and is raising two young children with his wife in Puyallup. The former staff sergeant was most recently stationed nearby at Lewis-McChord and left the military to ensure he’d continue to be close to his family, and that they’d remain in one place. In the service, he was an inventory manager and aircraft-maintenance specialist and trained fellow technicians in how to service giant C-17 transport planes. “As an aircraft maintenance specialist, I thought my only option was to go to Boeing,” Robinson says. Also, in the military, teamwork is essential, but people tend to be siloed in their rigidly defined departments and roles. Starbucks, Robinson says, emphasizes data sharing and building relationships, across departments if necessary, so employees understand the overall impact of their particular duties. “It was a huge change — just coming here and seeing how collaborative an environment it was,” Robinson says a few weeks into his new job at Starbucks. Robinson values helping those around him do well. He happened to find a job where communal thinking is encouraged. AIMEE DENNING landed a position well-suited to her experiences as a staff sergeant in the Air Force serving in Afghanistan. 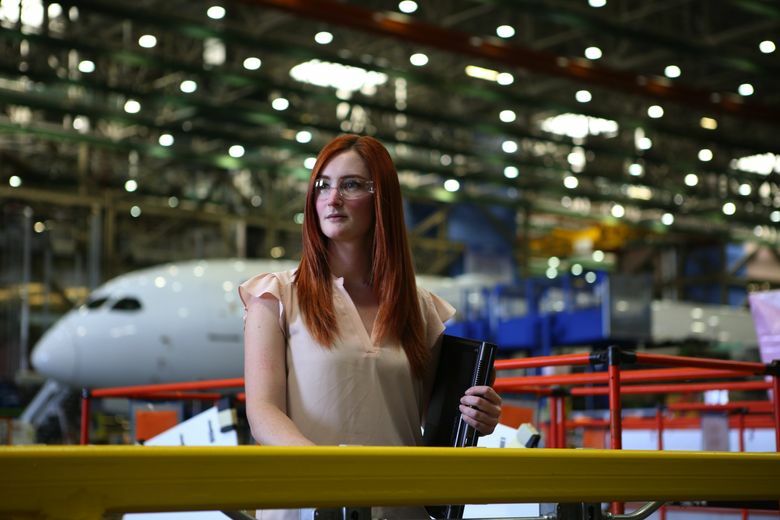 Today she’s a process analyst at Boeing in Everett, where she helps manage the work flow on the assembly line for the 787 Dreamliner. Denning, 28, says one of her grandfathers served in the military, and she always was impressed by the way he commanded the space every time he entered a room. Aerospace is in her blood, too: Her dad also works for Boeing, in South Carolina. Dressed in a hard hat and goggles for a tour of the cavernous 787 assembly hangar, where massive jetliners in various stages of manufacture loom like dinosaur replicas in a museum, Denning says she decided to join the Air Force to take advantage of its college-aid programs. But after five years in the service, with her then-husband and a 2-year-old daughter at home and another child on the way, Denning started to weigh the same considerations as Robinson: A military career is great, but how will that affect the family? “I didn’t want the possibility of missing a year of their lives,” Denning says. She left the Air Force in 2013. It was a tough transition. Denning was unemployed for four or five months. With interviewing and résumé help from Lewis-McChord’s Transition Assistance Program, Denning’s luck turned around. She landed two job interviews in quick succession — one at Boeing, which has invested more than $1 million in organizations supporting transitioning vets since 2013 and employs some 11,000 veterans in Washington state, about 15 percent of its workforce here. The company called her back a week later to offer a job. “I was overwhelmed,” Denning says of her first day at work. But the welcome she received as a veteran helped compensate for the workplace culture shock. Denning serves as vice president of the company’s employee veterans association. She uses that position to encourage camaraderie among fellow vets and spouses of vets, and greater understanding of issues specific to them. What matters most is that veterans who join the work force know that their military experiences matter at the office, on the assembly line, wherever their careers take them. Tyrone Beason is a Pacific NW magazine staff writer. Reach him at tbeason@seattletimes.com or 206-464-2251. Ken Lambert is a Seattle Times staff photographer.